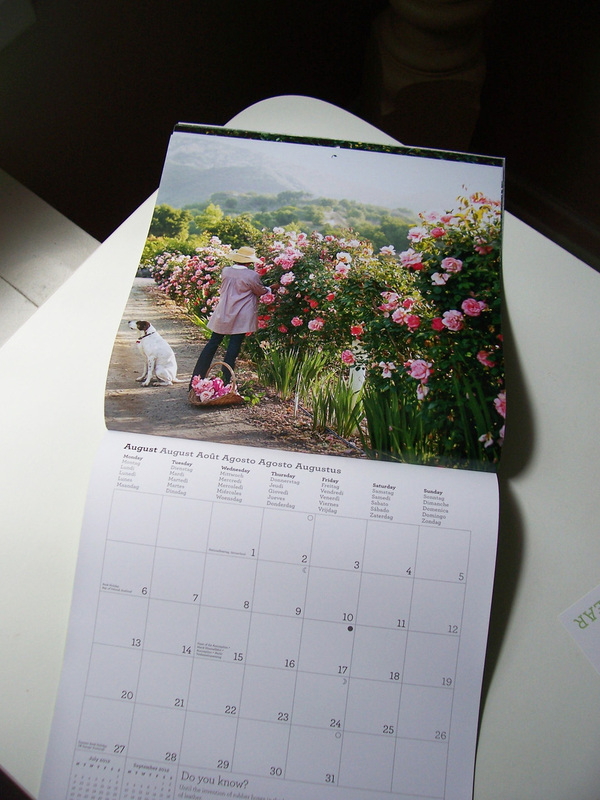 Arriving in the mail today was my Martha Stewart Gardens 2012 calendar. I was so pleased to receive it! It is one of a series of new 2012 calendars by MSLO, the first time they have produced calendars for retail. (They had previously only issued calendars as special promotional incentives for subscription services.) These ones are designed by the masters in calendar creation: teNeues, a German publishing firm. 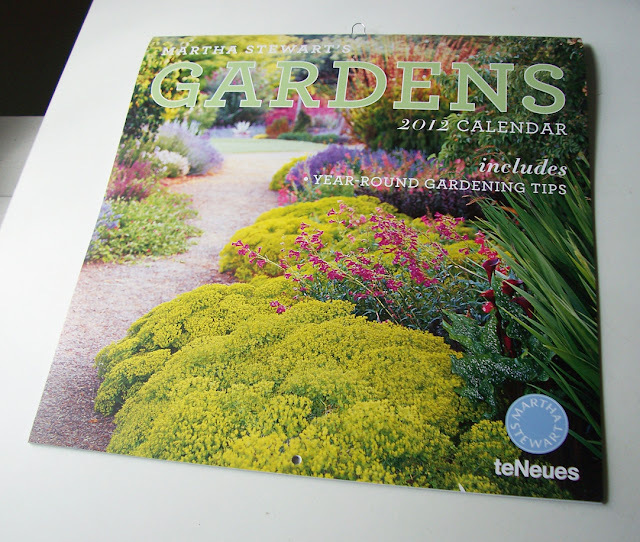 The Gardens calendar is a very generous size (nearly one square foot when closed) and it is printed on very beautiful, thick paper in rich colour. Other nice features include the listing of holidays that are celebrated in numerous countries, including the U.S., Canada, the U.K., the Netherlands and Australia. All of the events, days of the week and holidays are spelled out in multi-lingual format. English, French, Spanish, German, Italian and Dutch are all represented, making it quite a global calendar. 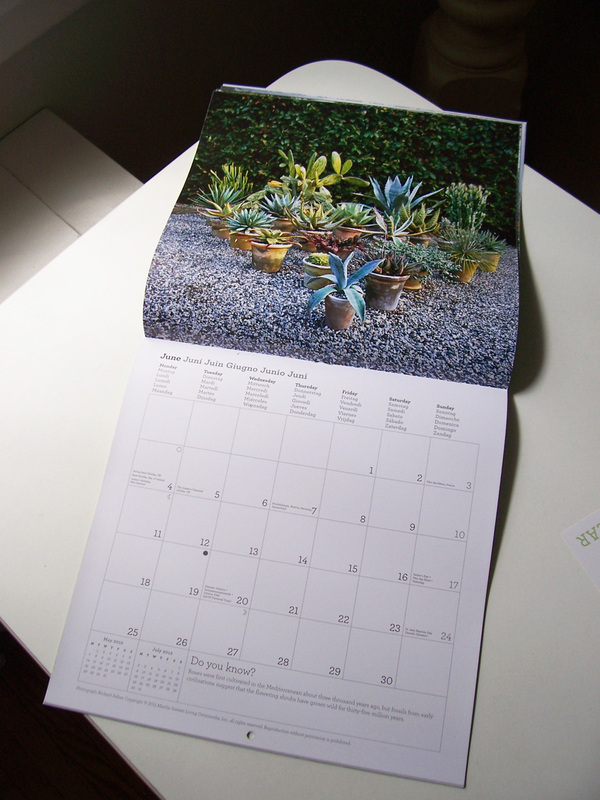 Inside is a bonus removable spreadsheet with a month-by-month list of gardening tips. I've now ordered my Cookies and Cupcakes calendars (for the archives, you see) and the Martha Stewart Living Deluxe Diary. Also available is a Crafts calendar and a Collecting Engagement calendar. You can order them all at Amazon.com. Thank you for the heads up! Just ordered the cupcake calendar. So pretty! This post was incredible and I like your calendar it was lovely. Thank you for sharing. Oh! I never knew! You are so wonderful at keeping us up to date on all things Martha. I can order this on the uk amazon and will be ordering one very soon.